because who doesn’t have one? This OG fro-yo joint has been going strong since our high school days — they had dairy free flavors before it was cool. With limitless toppings (how is the vegan cookie dough better than the regular?) 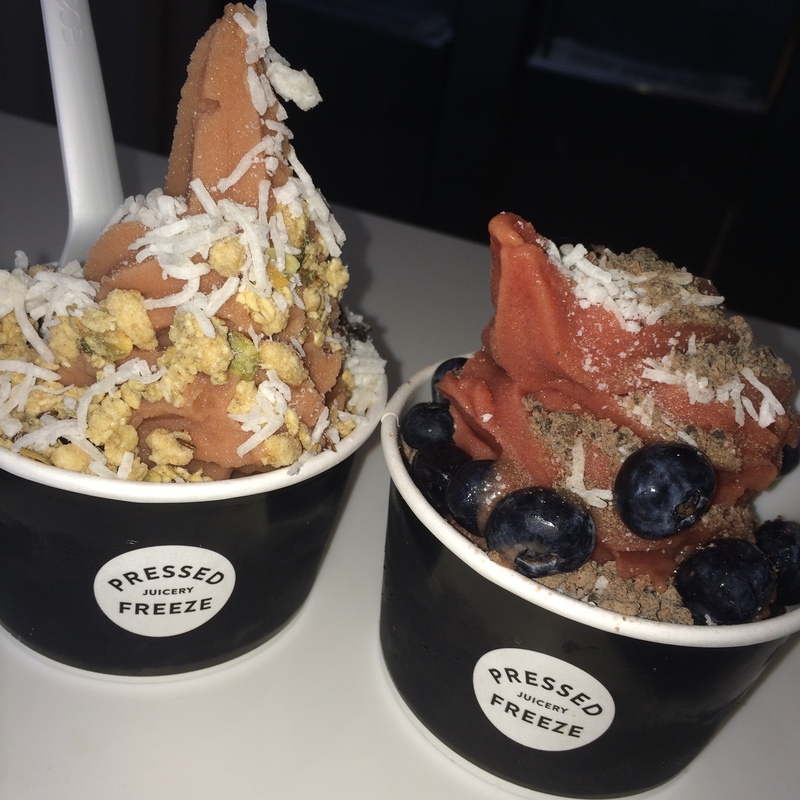 and a rotating array of soft serve flavors, this is your date night/girls night/family night spot should you find yourself in Westwood — and dare we say, it might even be worth a trip of its own. 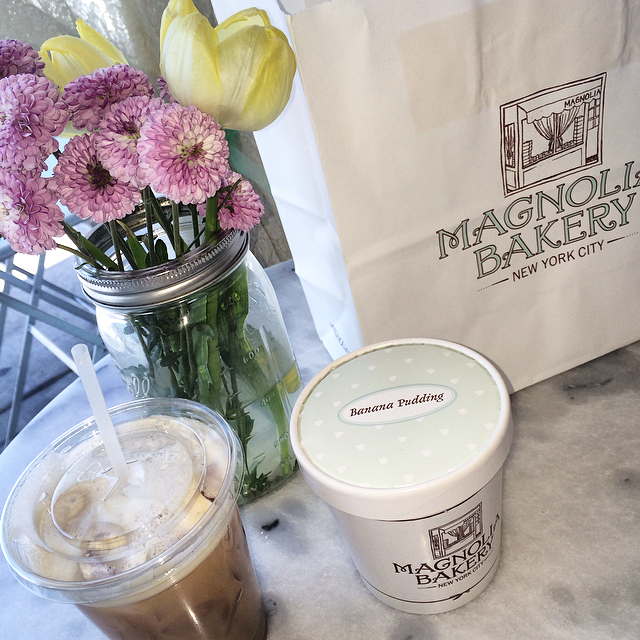 When you hear “Magnolia Bakery” you most likely think cupcakes, but we are here to tell you that their BANANA PUDDING is what its allllllll about up in there. One good thing came out of a horrible date I [Alex] went on years back (so horrible I faked sick in the bathroom)… it was him telling me about the “fluffy, not-too-sweet, like ‘heaven in your mouth’ delight-fullness”. And then oops- an entire pint has vanished again. i mean, how do you decide? 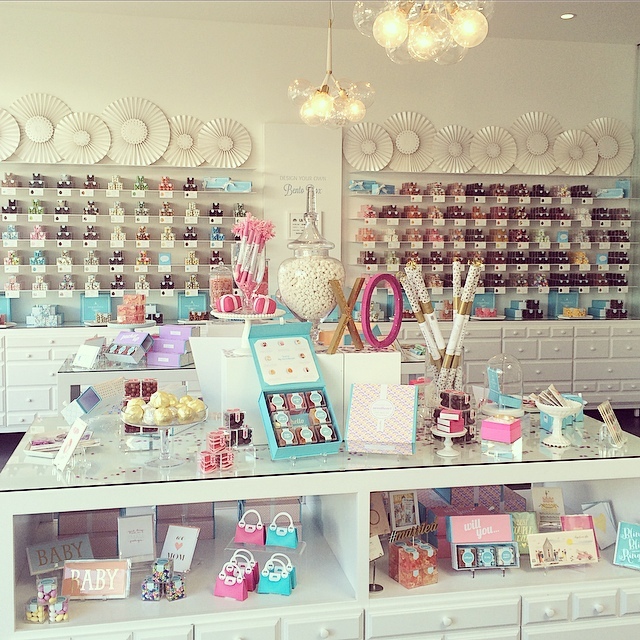 California Donuts serves up the most PICTURE PERFECT baked goods in all of LA LA land. 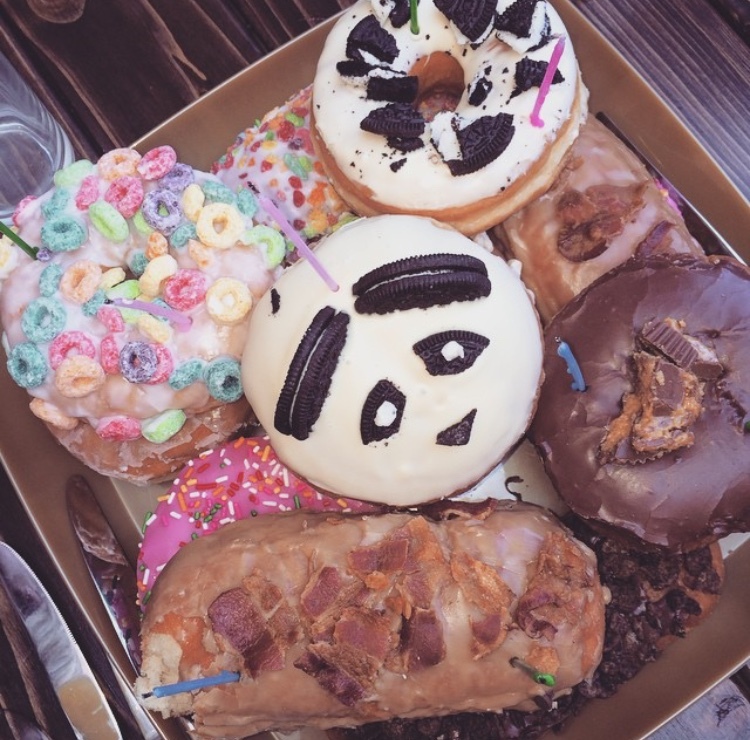 Maple bacon (yes, bacon), fruity pebble (yes, the cereal), and Snickers (yes, the candy bar) are just a few of the crazy delicious donuts you can get any-time, any-day (yes, they’re open 24/7). There will likely be a wait — the line is outside and they don’t move fast, so if you’re picking them up for a party make sure to give yourself ample time to get to/from this K-town favorite. Oh, and they make custom letter donuts (who wouldn’t want their name spelled in donuts?!). Cakes are so 2014. YES we got 5 scoops AND a cookie. Is there a problem? With flavors like Salted, Malted, Chocolate Chip Cookie Dough, Avocado and Strawberry Sherbet and Black Olive Brittle with Goat Cheese, HOW could you NOT get more than one scoop? They say go big or go home, and we definitely didn’t go home. 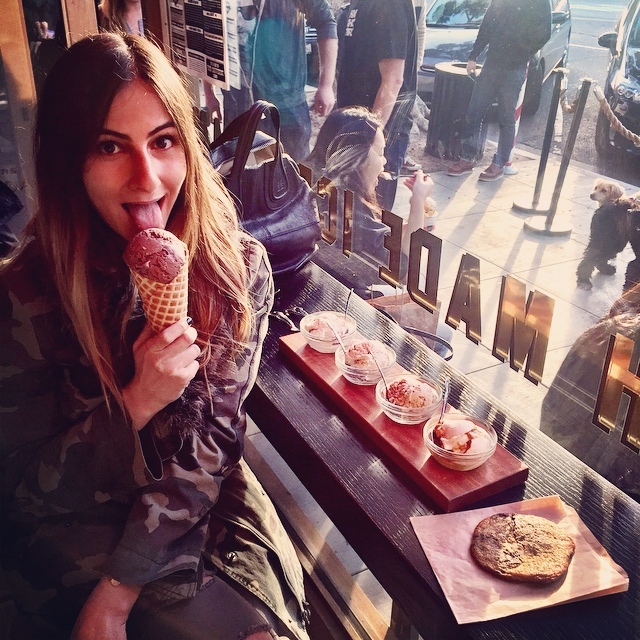 Even in the freezing cold, no line could keep us away from the delectably, surprisingly, life changing bold flavors this new Larchmont ice cream parlor has to offer. Pingback: QUICKIE: Pressed Freeze. | eat.drink.dish.repeat. Pingback: The Anchor + CA Donuts | eat.drink.dish.repeat. Pingback: Venice Beach Wines + Magnolia Bakery | eat.drink.dish.repeat.